Sony and Aniplex have a license to print money, and it’s a mobile anime game. It’s been out for almost three years, spent all of that time in the App Store and Google Play’s top 10 charts and taken more than US$2 billion in worldwide revenue, but Fate/Grand Order – Delightworks’ mobile gacha game based on Type-Moon’s extremely popular Fate/stay night property – finally celebrated its international English-language release earlier this year. The international launch comes after a 2017 buoyed by the opening of the game’s North American server, in which publisher Aniplex claims that it made more than US$1.8 billion and parent company Sony claimed to have seen a staggering US$2.5 million in revenue per day. That’s an incredible profit margin for any game, let alone a mobile title that was only available in two regions all year. Of course, the game’s player numbers may well have been inflated by the massive number of players accessing the game by other means. Prior to this international launch, players would access the Japanese and North American versions of the game using software such as APKPure; it’s not illegal, but it does highlight just how popular the game and the intellectual property are among fans. Overseen and with a story partially written by series creator Kinoko Nasu, Fate/Grand Order has garnered such attention both domestically and in the West due to its surprisingly in-depth and strategic turn-based gameplay, its bright, colourful, sprite-based presentation and, of course, the world and cast of characters pulled directly from the source material. Fate/Grand Order plays out like the franchise’s equivalent of Marvel’s Avengers, taking players on a time-travelling, world-hopping romp as they assemble an ensemble cast of new and familiar characters to form the titular Grand Order and carry out its mission: to rectify space-time anomalies that will cause humanity’s extinction if left unchecked. Delightworks hasn’t just used the license to build F/GO’s story, though; just like in Fate/stay night, players can summon fictional and historical figures to add to their squad and bring into turn-based battles. The game is predominantly a solo affair, with the only multiplayer component being the ability to bring a friend’s servant along as a support unit. A quick glance at the game’s subreddit shows just how dedicated its fans are, with members constantly uploading megathreads to help players through events, fan-art and comics; there’s even a community of content creators streaming the game or posting YouTube videos of their exploits on a daily basis. Not all of the attention has been so positive, though. Leading up to the international release, the Wall Street Journal published an article (and an accompanying video report, since the whole article is behind a paywall) highlighting F/GO’s part in two of the most hotly-debated topics in the games industry over the past two years: addiction and microtransactions. The Journal’s coverage introduces us to 31-year-old Daigo, a Japanese man who claimed to have spent US$70,000 on the game. His home, which he shares with his parents, is filled with figurines and other Fate memorabilia, and he claims to be playing the game whenever he’s awake, “unless [he’s] sleeping, driving or taking a bath”; that, to many, indicates a serious addiction, and it’s a claim that we’re not about to dispute. For context, Fate/Grand Order is a Gacha game, part of an ever-growing genre that is almost based around a “capsule toy” style in-game shop. Gachas aren’t all too different from loot boxes and microtransactions in other full games; the difference – and addictive factor – is in the exact way in which they attempt to incentivise spending. Gacha games tend to limit the rarest and most popular characters or units to a premium gacha (with exceptions such as Girls’ Frontline, which uses the gacha to acquire costumes and other items) that players spend in-game or real-life currency on. This mechanic all but eliminates the possibility of a free-to-play player acquiring every unit they desire. Even after opening your wallet, you’re still at the whims of chance as there’s never a guarantee you’ll get what you want. Acquiring fan favourite Fate characters such as Artoria (Altria), EMIYA, Mordred or Gilgamesh in Fate/Grand Order requires players to spend real money for the chance to roll them from the gacha – again, there’s no guarantee – or to get lucky with rolls made with free currency, and it’s here where players like Daigo can be sucked into sinking hundreds or even thousands of dollars into the game. This can also have gameplay implications. Higher tier characters tend to have a much wider range of uses and stronger stats than those of a lower tier. In FGO, the free-to-play alternative to using the five-star servant Zhuge Liang (Waver) is to combine lower-tier servants Hanz and Mash; still serviceable, of course, but the benefit of having two characters’ abilities rolled into one – with better stats to boot – is very clearly apparent, and that’s why people choose to spend money. 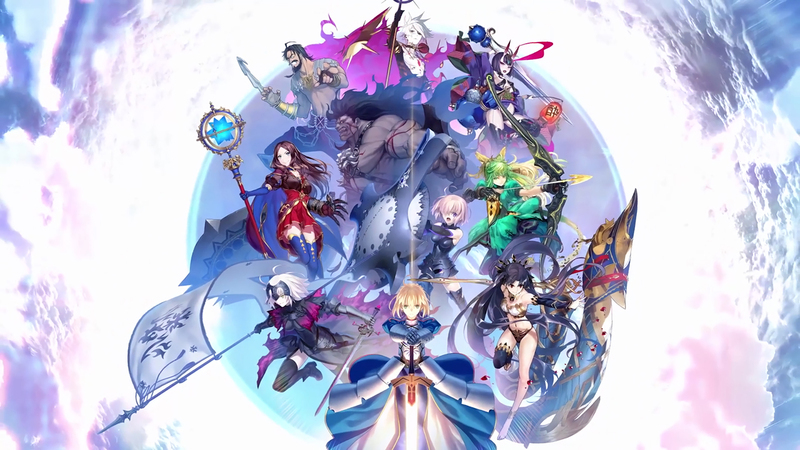 On top of its RNG-based in-game shop and paywalled characters, Fate/Grand Order also employs the energy system that has become all too common in mobile games. The system limits your play time to a set number of moves at once, requiring you to either wait or spend money to keep playing, and came under fire earlier this year with the release of Harry Potter: Hogwarts Mystery. By creating an additional avenue for players to potentially spend money, the system’s presence in FGO makes it clear that the game’s primary objective is to make money. It doesn’t take much real thought to see that the aforementioned Wall Street Journal article was little more than another hit piece against video games, cherry-picking an extreme case and using it to push a particular narrative, and the three content creators featured in the video – Deiku, G&A Reviews and KitaSean – used it as an opportunity to poke fun at the outlet. In fact, unlike A Current Affair’s recent Fortnite coverage or the Daily Telegraph article that called Doki Doki Literature Club “the ‘dark’ game linked to a teenager’s death”, the Journal’s article wasn’t met with too much uproar; after all, this was the story of a 31-year-old man, not a child, choosing to spend his own hard-earned money, not his parents’. Phrases like “rate up is a lie” – in reference to FGO’s 0.7% chance of summoning a five-star servant on “rate up” – are running jokes in the community, more than anything because the community itself is well aware that the game doesn’t require players to spend their real money; it’s actually quite free-to-play friendly. Most (if not all) of Fate/Grand Order’s story can be completed with servants rated between one and three stars, with many in the community considering several of these servants “broken” compared to higher-tier servants of the same type. There’s even a trend that has seen content creators “solo” fights using Cu Chulainn, a three-star Lancer who is virtually impossible to kill at max level. The game also rewards players with what fans have called “welfare” servants, three-star servants that are handed out for completing story chapters (with four-star servants available for completing certain events). Some of these, such as Ryougi Shiki (Assassin) and Irisviel, are really well regarded in their roles, making them great to pick up at no cost. It’s almost like a different game depending on whether or not you want to spend money, not so much in terms of how it plays, but in terms of how it appeals to the player. Those who stick to free-to-play will find themselves with a rather in-depth and strategic game where progress requires them to learn their servants’ strengths and weaknesses and build parties that synergise well and cover as much as possible. Those who choose to spend some money will get a similar experience, albeit with far more options and a little less challenge, but the game takes on an added Pokémon-esque “gotta catch ‘em all” appeal along with the faster progression. It’s an interesting side effect to the loot-box type microtransactions, and the overall Gacha community has even taken to nicknaming players based on their spending habits: “Whales” spend large amounts of money, while “Dolphins” – also known as “C2P” or cheap-to-play – and “F2P” (free-to-play) players spend less or none, preferring to build their accounts through gameplay and grinding. Despite all of its free-to-play elements, Fate/Grand Order remains in something of a grey area in the gaming landscape, especially after all the drama that surrounded Star Wars Battlefront 2’s loot box-based progression system. Fans’ frustration at not being able to progress through the game on their merit saw countries like Belgium and the Netherlands implementing laws that ban these types of microtransactions, which have had major impacts on Valve’s Counter-Strike and Dota 2, along with another EA property: FIFA Ultimate Team. Although this is a major victory for the gaming community, it does have its negative implications as well, predominantly surrounding where we as consumers draw the line. It’s become a knee-jerk reaction as of late to cringe at the sight of microtransactions in any game. Granted, this criticism is more than valid for games that restrict progress to loot boxes and other microtransactions, it has begun to impact those like Counter-Strike, whose microtransactions are entirely cosmetic and have no impact on gameplay or progression. The public’s outrage at these systems is misdirected, though; Battlefront 2’s progression system was tasteless, Assassins Creed: Origins’ “time-savers” were pointless, but shops like those in Counter-Strike and Fate/Grand Order can be avoided with no penalty to player progression. The microtransactions available in Fate/Grand Order or games like FIFA Ultimate Team are geared towards players with a source of income who may want to try to fast-track their progress. These games don’t encourage or force players to spend their money, and they offer gameplay-based alternatives to the progression available through microtransactions. These games have become massively popular with whales, dolphins and free-to-play players alike, and they have absolutely earned their place within the industry. Fate/Grand Order is a juggernaut amongst its peers, illustrating not only how popular the Fate franchise is, but how popular – and profitable – mobile gaming has become in recent years. It’s not just Candy Crush and Words with Friends anymore; it’s a viable source of income for publishers and developers, and a great source of fun for fans across the world.